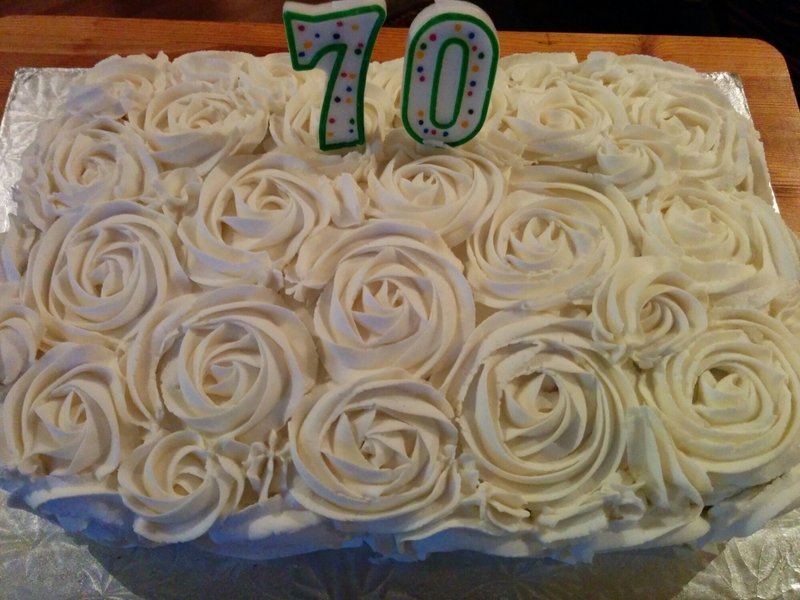 This past weekend my mother celebrated a milestone birthday. I was in charge of the cake making and so as always I hit the internet searching for ideas. I wanted something simple and elegant. Then I remembered the rose cake I made a few summers ago and it was decided. It is really a very simple cake to make. I made a plain yellow cake and filled it with vanilla pudding (my kid’s request). 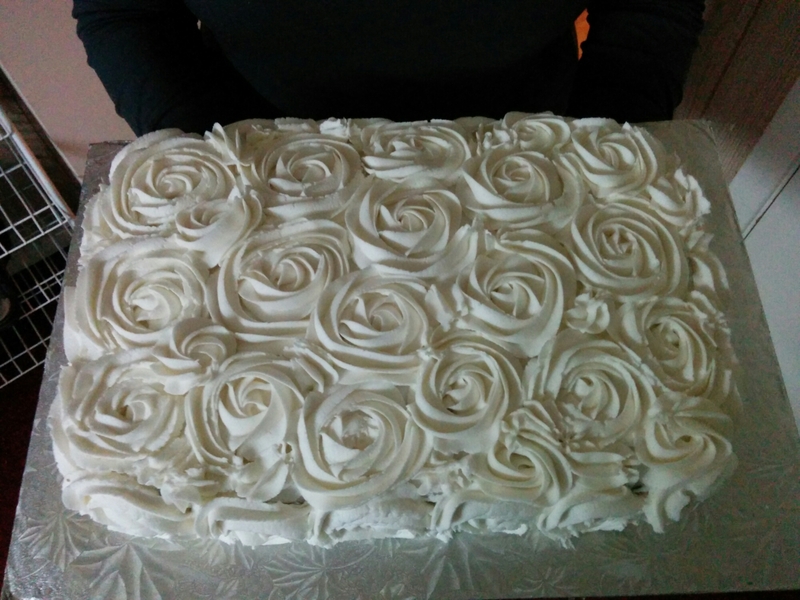 After my daughter crumb coated the entire cake, I started on the roses. I used a 1M tip and covered it quickly. It literally took me less than 10 minutes to cover the entire cake. It is one of the easiest cakes to make, It doesn’t take too long and looks fantastic. I got many compliments on it because it looks like it would take forever but really, it’s quite easy. The idea came from one of my favorite baking blogs — I am baker. You can find a link to her rose cake tutorial here. So sorry! When you are making the rose cake do you start at the bottom and build up? Are you using a recipe that has crisco in it or that is very chilled?